Ayman Nour prayed for an Obama victory, but does not plan to hear him in person. President Obama, speaking in Cairo, Egypt, urges a new chapter in ties between the U.S. and the Muslim world. 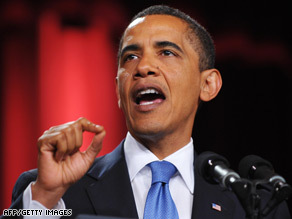 President Barack Obama delivered an appeal for unity from the campus of Cairo University. Photos by Pablo Martinez Monsivais / AP.